IQ-kord, power cable - Blue Rose / IQ . Home Theater surround sound amplifiers. We get you back to what it is all about. Music & Movies. Unrestricted accurate power coupling for greater audio dynamics and subtle detail retrieval. The IQ kord mains power cable helps clean up the power to your components, reduce interference, and optimise power delivery to your system. The IQ kord power cable will improve bass timing speed, sound stage, weight and clarity in your system. The IQ kord provides an unrestricted accurate power coupling for greater audio dynamics and subtle detail retrieval. It allows better Video components to perform with more consistency and better visual impact. The IQ kord offers extreme flexibility for an 13 AWG shielded power cord. 13 AWG is almost double the amount of copper (half the resistance) of standard cords.It can be used for long custom applications without compromising power delivery. 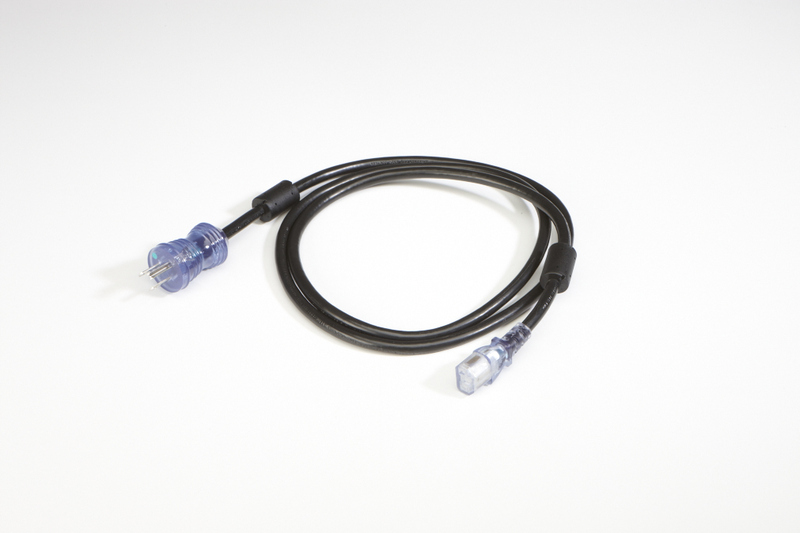 The IQ kord cable utilizes compressed stranded OFHC copper. Special IQ insulation controls mechanical resonance to minimize induced vibrations at AC power inputs. The IQ cable geometry offers greater uniformity and consistency than standard designs.